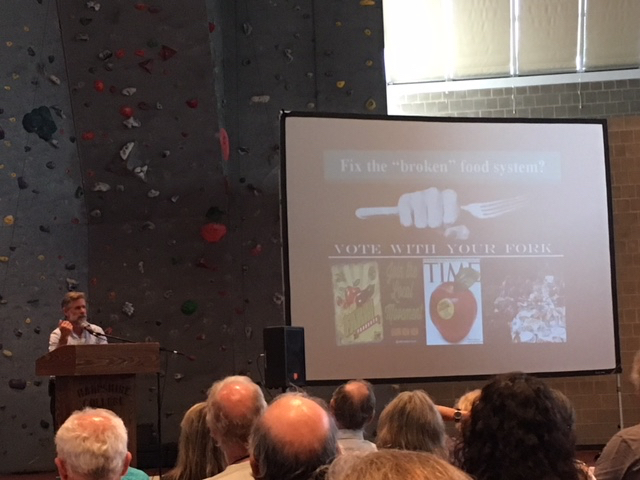 Holt-Giménez: the food system's not "broken." It's just capitalist. I had a little epiphany this morning while thinking over Eric Holt-Giménez’s keynote talk from this weekend’s NOFAMass conference. In his wide-ranging overview of what capitalism and industrialism have done to our food systems, Holt-Giménez talked about how an unexpected alliance in England’s early industrial period helped to push back temporarily against the growing power of middle-class financiers and manufacturers. Landed gentry, who were losing their social and economic preeminence, made common cause with displaced and disgruntled farmers seeing their own status and security decline. Jill Lepore has spoken about what she terms "cuspiness"--the feeling of being on the edge of big changes. 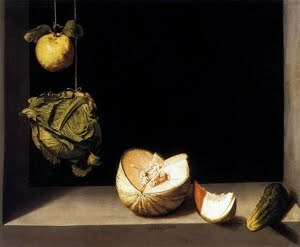 I often have that sense when I look at what's happening in the realm of food and farming interpretation in the museum and public history realm, and it's been confirmed by encounter with many people in those fields who are reaching toward a much more consequential and socially-engaged way of connecting audiences with big questions relating to food. Michelle Moon and I were once again struck by this at a workshop we led at the American Association for State and Local History conference in Minnesota last week, and it struck me even more on a tour I took as part of the conference, to the Oliver H. Kelley Farm in Elk River, Minnesota. A couple of high-profile entries in the civic conversation about the politics of small-scale farming--one in the New York Times and a response on Huff Post's Green blog--show some heartening, if also still small-scale, historical perspectives on the odds of making it as a farmer in the U.S.
Bren Smith's much-discussed piece in the Times, "Don't let your children grow up to be farmers" (August 9, 2014), noted how farmers' long-standing problems of debt, access to land, and competition are playing out within today's food movement. 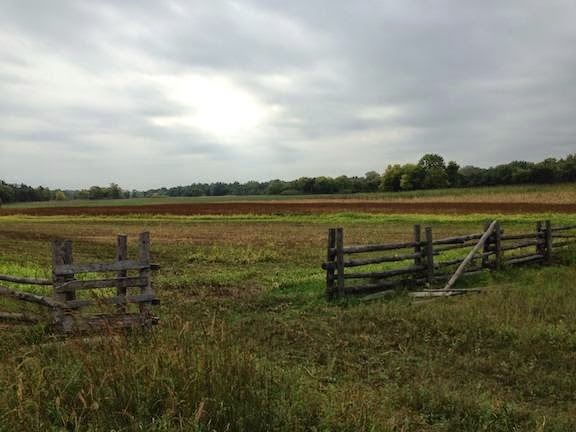 He points to the proliferation of CSAs, hobby farms, and non-profit farm projects as a new pressure within the marketplace, and notes that like most farmers, he's had to supplement his income with other kinds of work in order to keep his farm going. Interestingly, he also looks to earlier "food movements" of the late nineteenth century, the Depression era, and the 1970s as models for the kind of direct political action and advocacy that he thinks today's small-scale farmers need to embrace more seriously. The Tufts campus is at its loveliest at Commencement time. 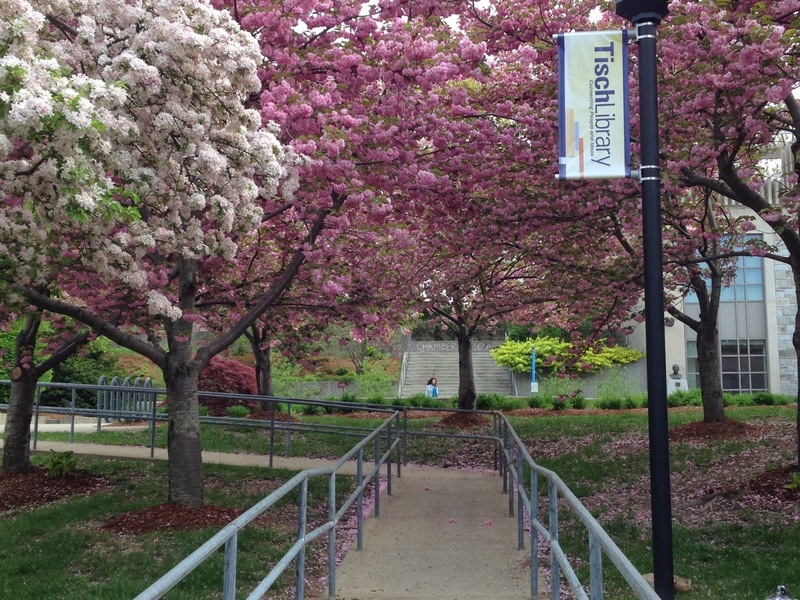 This past weekend was Commencement at Tufts University, always an inspiring rite of passage and a chance to reflect a bit after the intensity of the academic year. 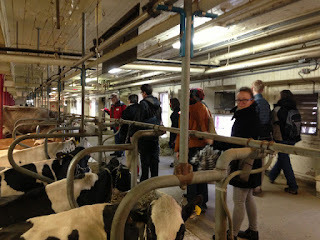 It's particularly reflective for me this year, after a spring spent gathering information and ideas about the campus as a former, current, and perhaps future site of food production. 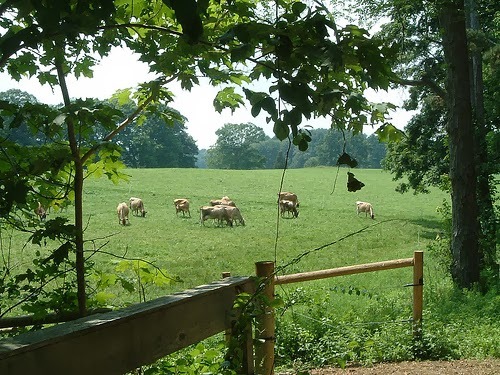 My "New Food Activism: Roots and Visions" class was devoted, in part, to reenvisioning the landscape around Tufts' Medford campus through the lens of its agricultural history, and my sense of the place has been shifting as a result. In particular, I've been rethinking the lawns. Source: Tufts Digital Collections and Archives. I've been grubbing away quite diligently on my food/farm/history project since my last post, but the Spring 2014 teaching semester and conference schedule steamrolled over my good intentions to keep posting here occasionally. Now that all of that is more or less over, I'm planning to get back into some regular blogging again. That's not me grubbing in the dirt at the left, BTW. 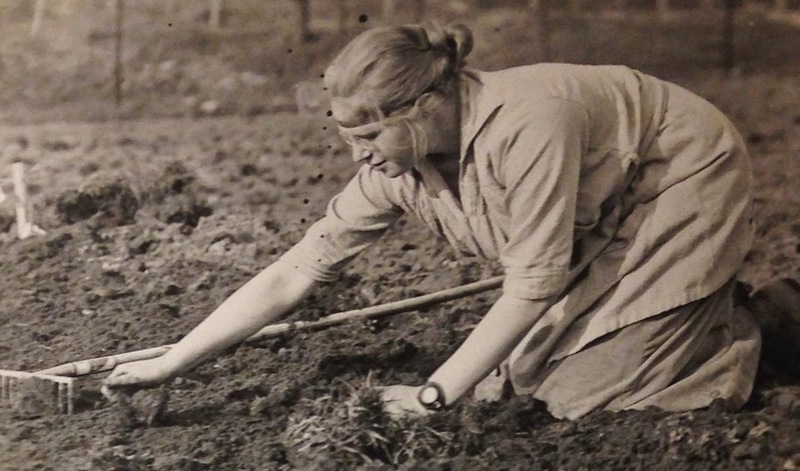 It's a Tufts College (well, technically Jackson College, Tufts' then-new college for women) undergraduate helping to prepare the ground for the school's World War I garden in April of 1918, on the site of what's now the arts complex. Opening some new research into the history of food production on the Tufts campus is one part of what I've been doing this spring, in collaboration with a terrific group of students in this year's "New Food Activism: Roots and Visions" course. I've just finished grading the final papers from that class, and they've opened up some exciting directions that I'll be pondering more deeply, including in blog posts here and some advance planning for next year's class and possible future projects at Tufts. Dairy dilemmas: Milk and cheese as "wicked problems"
Sandra Batie, an agricultural and resource economist at Michigan State University, uses the term "wicked problem" to describe issues so fraught with internal paradoxes and inconsistencies and so overlaid with competing and often contradictory ideologies and assumptions that it is difficult or impossible even to have a collective conversation about them, let alone figure out how to fix them. Batie sees agriculture as a particularly "wicked problem," and much of my recent focus on food and farm history arises from this same idea. Because we have so little shared sense of how we got to the food system we have now, many of the attempted fixes and alternatives often feel fragile and ungrounded. Take dairy. It's one of the agricultural sectors most overlaid with both nostalgia (think milkmaids, butter churns, black and white Holsteins on a Vermont hillside) and ideology (think childhood nutrition, school lunch subsidy, and the raw vs. pasteurized debate). It's also one of the liveliest frontiers of local-food revitalization (think urban professionals turned artisanal cheesemakers). Yet it's a component of the food system whose history is particularly murky and ill-understood. The series of posts that appeared here in the first few months of the year were written by members of the "Public Historians and the Local Food Movement" Working Group that was convened for the 2013 National Council on Public History conference, held last month in Ottawa. The group held its face-to-face meeting at Ottawa's Central Experimental Farm, a visit that enriched our thinking about some of the ways that public historians do and might intersect with both agricultural practices and public interest in food and farming. ways to use public historical spaces and legitimacy to create new forums where people can connect across various class, political, and occupational boundaries. One of the most stimulating parts of the meeting for me was the discussion of how our work as public historians can best relate to advocacy and activism. 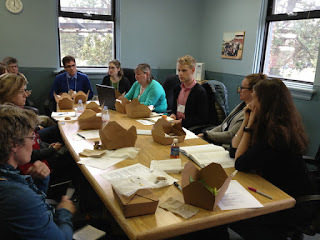 Most of the people around the table were involved in some kind of food and farm education and interpretation, usually in ways that intersected with "the food movement" (broadly defined). 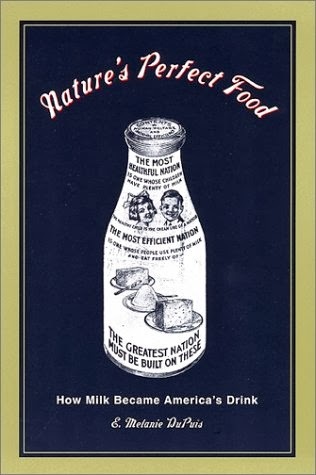 We recognized that our own values, tastes, and politics underpinned our interest in pursuing food-related projects, so we certainly weren't arguing that public historians should seek some kind of purely neutral or disinterested stance. But at the same time, we found ourselves agreeing that historians’ essential neutrality (that is, our core commitment to critical, contextualized inquiry) is a gift that can help us to raise more nuanced questions and create useable spaces for discussion within a politicized and complex field. 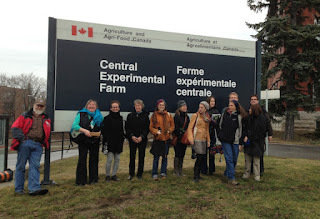 So while we generally saw ourselves as advocates and allies for those working to relocalize food systems and challenge the dominance of big, industrialized agriculture, part of what we wanted to advocate for is a balanced conversation that doesn't demonize "big ag" or romanticize "the local." That's a stance that many museums and public history sites have adopted in an era of "civic engagement, so it's not as though we came up with anything entirely new here! What is new about linking this approach to food and farming related issues, I think, is the way our own actions and identities become immediately much more salient than is usually the case. We talked about the importance of being willing to get our hands dirty--in the field and in the kitchen--as a way to build credibility and accountability with partners. We touched on the potentially uncomfortable ways that our own class positions come into play in relation to food and farming (for example, in the way that the mostly-white, mostly-middle-class demography of public history replicates that of the food movement in general, something I wrote about in a blog post last year). Because food is such an intimate and everyday thing, as well as creating such a powerful cultural and political field, that balancing act between advocacy and neutrality becomes both trickier and more essential. For my co-facilitator Michelle Moon and I, the next steps after the meeting in Ottawa involve the book project that we've been developing around these questions. I'm hoping others in our Working Group will share a few thoughts here about where they see their food-and-farm-related work headed now. What next after Ottawa?